Kuolemanlaakso to Open for HIM at Helldone Festival on New Year’s Eve – SOLD OUT! Kuolemanlaakso has been invited to open for Finland’s biggest music import HIM at Helsinki’s Helldone Festival, Tavastia, on New Year’s Eve, 31.12.2014. The annual three-day event feature special guests as well as performances by bands handpicked by Ville Valo, as usual. The tickets for the HIM and Kuolemanlaakso night, as well as three-day VIP packages, sold out in a matter of minutes. “It is a great honor and a privilege to open for HIM, as they are a mutual favorite of ours, and Helldone is truly a special event with an atmosphere unlike any other. Who knows, maybe we’ll have something special up our sleeves as well“, hints guitarist-keyboardist Laakso. There will be special guests and truly rare performances spread out over all three nights. There will also be a limited amount of three day VIP ticket for 250 € + possible order processing fees. VIP package includes: Laminated Helldone 2014 VIP pass and wristband with logo. Early entry into VIP launce/balcony (incl VIP bar) 30 min before doors open to hall. Numbered Helldone limited edition autographed collectible poster. Helldone 2014 VIP festival t-shirt either Men: S – XXL or Girly: S – L. Helldone 2014 festival bag. Glass of bubbly to celebrate New Year. VIP packages available for collection on site during the event. Detailed instructions will be sent to buyers via e-mail. The tickets will be on sale at all Tiketti outlets. Tickets can be reserved through the call center +358108431611, reservation time 2 days. Tickets will be available on Mon 8 Sep at 12:00 CET (13:00 local time). Ticket limit: max 2 tickets per customer per night. The tickets are personal. They will be named at the time of purchase, and the identity of the ticket owner will be verified when entering the venue. 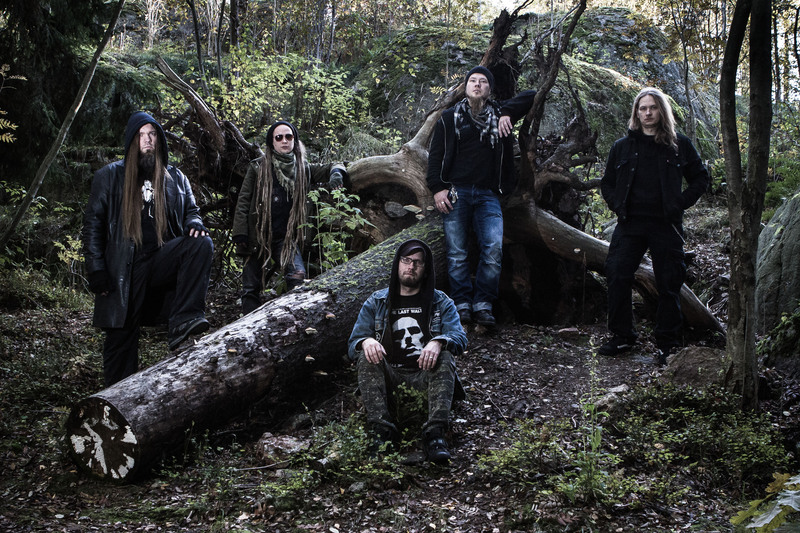 Kuolemanlaakso has been confirmed to perform at Jalometalli Metal Music Festival in Oulu on August 8, 2014. The impressive lineup includes acts such as Triptykon (featuring Kuolemanlaakso’s producer V. Santura), King Diamond, Testament, Samael, Sacred Reich, Loudness, Kvelertak, Uncle Acid and the Deadbeats, Insomnium and Kotamäki’s former band Alghazanth. “We are thrilled about the opportunity to spread doom over Jalometalli, one of our favorite festivals. This year’s lineup is probably the best ever, and we’ve always wanted to play in Oulu, one of Finland’s most metal cities. This will be an event to remember“, states guitarist-keyboardist Laakso. As previously announced, Kuolemanlaakso will also hit the stage at Nummirock on June 19, 2014, alongside with W.A.S.P., Behemoth, Iced Earth, Black Dahlia Murder, Stone, Turisas and so forth. Purchase tickets to Nummirock and Jalometalli. Read the official press release below, and check out “Tuonen tähtivyö” stream from the forthcoming epic. The highly acclaimed Finnish death doomsters return with their most ambitious work to date. Produced once again by the Triptykon and Dark Fortress guitarist V. Santura, Kuolemanlaakso’s sophomore album “Tulijoutsen” (“The Fire Swan”) explores unconquered grounds of heaviness, and pushes the band into a new level of melancholy. The 50-minute magnum opus was inspired by the grandeur of the Finnish forests, serene eeriness of the lakes and early 1900s poetry and folklore. Thus it was only natural for the band to live the lyrics, so to speak, and isolate themselves in a secluded location in the middle of the woods, and capture the true essence of the songs on hard disk. Musically the band has taken giant leaps in new territories, but not forgetting the crushing heaviness and the love for the avant-garde, which define the Kuolemanlaakso sound. “Tulijoutsen” is as versatile and epic as it gets, and it’s got more hooks than a slaughterhouse. The “Musta aurinko nousee” mCD/mLP, released in November 2013 by Svart Records, gave a little taste of things to come, but that was just a preview. Compared to previous material, “Tulijoutsen” offers a fresh variety of vocal acrobatics, bigger choruses, catchier melodies, fuller arrangements, more courageous surprises in the arch of drama – you name it. The debut “Uljas uusi maailma” (2012) was almost entirely written by guitarist-keyboardist Laakso (Chaosweaver), whereas “Tulijoutsen” is much more of a band effort with other members providing an array of material, too. The Maldivian prodigy Maahy Abdul Muhsin provided the front cover paintings for both albums. Kuolemanlaakso was founded in 2010 in Kuopio, Finland. “Uljas uusi maailma” peaked at #6 on the Rumba Independent Record Store Chart and #42 on the Official Finnish Album Chart. In support of the debut, the band toured in Finland, hitting some of the biggest and most respected clubs in its native country, as well as performing to an electric crowd at the 2013 Tuska Open Air Festival. “Tulijoutsen” will be released as a limited digipak CD with an exclusive bonus track “Raadot raunioilla”, digital download and two different limited vinyl editions: red (150 copies) and black (350 copies). From left to right: Laakso (guitar & keys), Usva (bass), Kotamäki (vox), Kouta (guitar), Tiera (drums).